​Mesut Ozil's recurring back issue could be attributed to his love of Fortnite, according to a somewhat speculative newspaper report on the midfielder's condition. The German midfielder is thought to be a doubt for Arsenal's clash with Huddersfield this weekend, with the recurring back problem that kept him out of the 2-2 draw with Manchester United once again rearing its head. According to the​ Daily Star, this injury has been cause by his love of video games. ​Ozil has a debilitating habit relating to the Fortnite video game, and that he spends an average of five hours a day on the game, sourcing statistics portal 'Wasted on Fortnite' for their information. It's widely known that the 28-year-old spends a lot of time on video games - he launched his own eSports team earlier this season after all - but it does seem like a stretch at best to suggest it's the principle cause of his long-standing back issues. Their claim is backed up only by German newspaper ​BILD, who spoke with a sports physician, and he confirmed that spending such an amount of time on a video game could be a contributing factor to his persistent problems. It's enough to suggest that it could be a factor in his absence, but in truth it's pretty wild speculation, considering the club themselves are yet to even confirm the extent of the injury, with Unai Emery ​describing it as 'back ache' before the Manchester United draw. 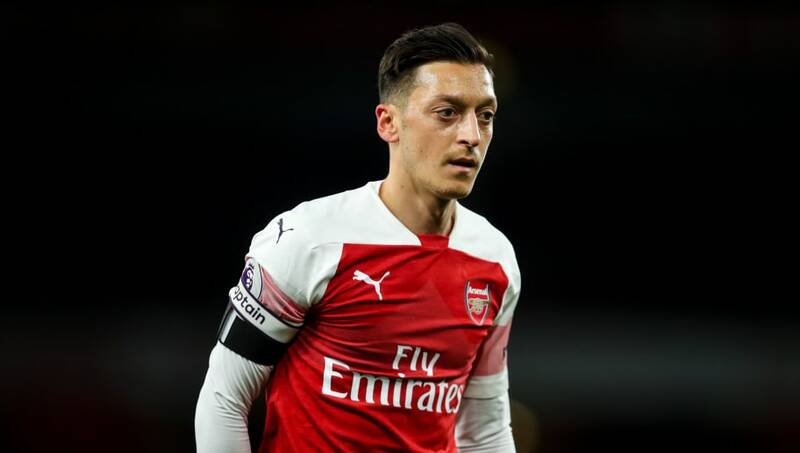 Ozil is thought to be jaded by the injury issues keeping him on the sidelines, and it's unclear when he'll be back in the side if indeed he does miss ​Arsenal's upcoming match with Huddersfield.